If sleep where a friend, it’d be that one friend that no matter how often you see, you’re always just as happy to see him. Even after spending 73,000 hours together, you simply cannot get enough time hanging out with him. Around 70 million Americans suffer from a sleep disorder of some sort. Do you remember that kid in school that always seemed to doze off in class despite him claiming that he goes to sleep early every night? Yeah… he probably had a sleep disorder that he wasn’t aware of. How do I know this? Because I was that kid. Even now, on nights when I don’t use my CPAP machine for sleep apnea, the next day at work I feel as sharp and focused as a tired zombie. Had I known earlier about the most common sleep disorders adults face, I would have begun living a rested life much sooner. Specifically, because I’d have started seeking out treatment much sooner. Incidence: 30 – 50 % have of Americans have struggled with insomnia at some point. About %10 of the general population has chronic insomnia. Source: High-stress levels. Bad sleeping environment, jet lag, and some drugs are also causes. Indicators: The number one indicator is taking a long time to fall asleep and having a hard time staying asleep. Though most people struggle to hit the sack at one point or another, people with insomnia consistently have issues falling asleep. 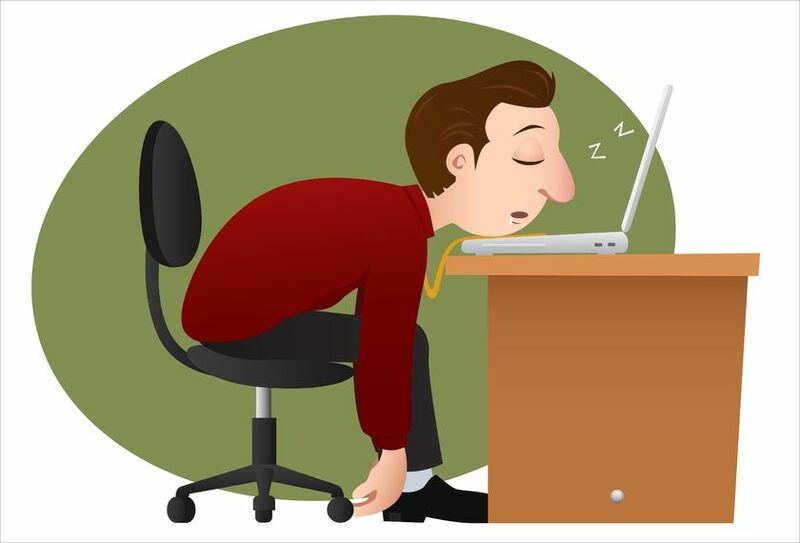 This leads to sleep deprivation which causes a whole host of problems like irritability, problems with concentration, memory and even weight gain. Treatment: Doctors may prescribe sleeping pills for people who suffer from insomnia. Cognitive Behavioral Therapy (CBT) might be prescribed too. CBT often helps because it treats the source of insomnia and addresses the root cause of the problem. Doctors often recommend avoiding any of the habits that make sleeping more difficult. Sleep hygiene is extremely important for people struggling with insomnia. Check out our full and regularly updated sleep hygiene fact sheet for a list of all the different habits to follow to get great sleep. Over the counter sleep aids (such as Unisom), certain essential oils, and exercise are also great ways to help treat the symptoms of insomnia. Find out if Unisom actually works and what happens when you use it for too long. Incidence: About 20 million Americans suffer from sleep apnea. About half of these remain undiagnosed. Source: There are two types: Obstructive Sleep Apnea (OSA) and Central sleep apnea (CSA). Obstructive sleep apnea is caused by an obstruction in the airways which prevent you from breathing throughout the night. Central sleep apnea occurs when the brain “forgets” to signal your body to breathe while sleeping. Both OSA and CSA lead you to wake up for air. People that suffer from sleep apnea might wake up more than 30 times per hour without even realizing it. Indicators: Snoring is one of the best indicators of sleep apnea. Daytime tiredness, irritability, headaches in the morning, and lack of focus are also signs. Sleep apnea can actually lead to weight gain as well. Treatment: Often treated with CPAP, which is a sleep apnea machine that delivers air in the airways throughout the night and allows patients to breathe more easily. It can also be treated by using specific mouth exercises or by wearing a mouthpiece that opens up your airways and helps oxygen enter the airways more easily. Patients that can’t get used to wearing a mask to sleep every night have many other options for treating their sleep apnea. The main takeaway here is to know that sleep apnea is a big, yet removable, obstacle. When treated, you’ll feel like a completely different person. I sure did. Incidence: Affects nearly 10% of all Americans. Source: Genetics has the largest share of the blame when it comes to Restless Leg Syndrome (RLS). Some medications and pregnancy can also cause it. Indicators: An uncomfortable feeling of itchiness, pins, or numbness in the legs that gets worse on the evenings and at night. People affected by RLS can have trouble falling asleep and might wake up during the night. Treatment: Hot baths, heating pads and leg massages help with fighting the symptoms. Drugs are sometimes prescribed too. Doctors will usually recommend cutting out things that might make sleeping harder like caffeine, alcohol, and going to bed at different times. Similar to insomnia, doctors will often recommend following proper sleep hygiene practices to ameliorate the symptoms of restless leg syndrome. Incidence: About 200,000 Americans have narcolepsy. Out of this amount, it’s estimated that only 25% are actually diagnosed. Source: Chemical anomaly in the brain. Currently, it’s not fully understood as to why it occurs. Indicators: For narcoleptics, things that should happen while sleeping and things that happen while awake might blend together. This can lead people with narcolepsy to fall asleep inadvertently. Hallucinations and sleep paralysis are also common symptoms. Some narcoleptics are also cataplexic, meaning that intense emotions can lead to complete loss of muscle control. Treatment: Stimulants and antidepressants are often prescribed. Doctors also say that having a regular exercising routine and a structured sleep schedule that includes daytime naps also helps. Incidence: About 8% of Americans suffer from bruxism. Source: Caused by an irregular bite, crossbite, or by other sleep disorders such as sleep apnea. Indicators: Waking up with a sore jaw tends to be a telltale sign. Sometimes, people affected by bruxism also wake up with a light headache caused by excessive nighttime teeth grinding. Bruxism, unlike other sleep disorders, does not lead to sleep deprivation. However, it can weaken your teeth and lead to loosening or even fracturing them. Treatment: Doctors sometimes prescribe a special mouth guard to protect your teeth from the nighttime grinding of bruxism. If the cause of bruxism is another sleep disorder, treating that sleep disorder is the best possible course of action because it will also get rid of your bruxism. Anti snoring devices can often treat bruxism in addition to eliminating snoring. If you suffer from both teeth grinding and snoring, checking out one of these devices can kill two birds with one stone for you. Read the best anti snoring devices of 2017 to learn about some of the options for snoring. If you believe you or someone you know might have any of these sleep disorders, visit a doctor or sleep center to have a check-up done. Good news is that there is a lot of help and different methods of treatments for all of these; some are often times not regularly prescribed by doctors but still effective. If you have any specific questions about any of these or would like to add to the discussion, please feel free to leave a comment below. Hi Juan, you’re post is very informative. I wake up every morning feeling tired. Even after 8 hours of sleep. I suspect that I may have central sleep apnea. Can you advise – do you need to have a prescription for any treatment for this condition. You do need a prescription for any sleep apnea machine. However, there are other effective sleep apnea treatments that you do not need a prescription- you can find those here . I suggest you go to your primary doctor and let him/her know about your symptoms. The doctor will likely prescribe a sleep study that will tell you whether you have sleep apnea and what severity. From there, you can go ahead and purchase your equipment if you do have sleep apnea. I personally suggest purchasing the equipment online rather than from a medical equipment provider. There are tons of resources online, and in my experience purchasing equipment online is a lot cheaper. I like this post ! My work friend suffers with not been able to sleep, by Thursday he’s like a zombie with a bad attitude ! even sleeping pills sometimes don’t help him ! And Fridays ! well we all keep away from him. From what I see it must be really hard living life like this ? Haha I can absolutely relate to your co worker. Whenever I’ve had a particularly rough week or stop using my CPAP for a while, I feel the same way. I to use a cpap machine. Mainly OSA. I have family members with some form of sleep apnea. This article is one I am going to bookmark and show others. Thanks Maurice. Sleep apnea is a very common sleep disorder, unfortunately many people are unaware that they are affected by it. Raising awareness can help bridge this gap and even save lives. Definitely, sleep deprivation is a horrible things. My husband suffers from restless legs syndrome for many years and we tried everything- nothing seems to works except prescribed medication. I would recommend people , who suffer from RLS to check with their neurologist for advice about MIRALEX- the only things that helps my husband and many others with similar problem. Thanks for the suggestion Olina. I’ve also heard that exercising too close to bed can negatively affect restless leg syndrome. I’ll be publishing a rls treatment options article soon that I’ll share with you once it’s ready to go. I think I have some kind of insomnia. I just can’t sleep early. First I thought that it was because of my weight-lifting routine but it also happens when I don’t workout too. I think I will try CBT. I hope it will help. Yes insomnia is a very common sleep disorder. One of the biggest things doctors always suggest is to follow proper sleep hygiene techniques and look for other things in your life that might be causing the insomnia. I’ll be publishing a sleep hygiene checklist here within the next week or so, that way people can check it out and make sure they’re taking the necessary precautions to sleep well.